Looking forward to take admission in FYJC after 10th standard? You must be aware of what FYJC is if you are a proper Maharashtrian. Today we are going to discuss about what is FYJC Online Admission Process 2018-2019 year. Many students want to quit after 10th standard in order to pursue diploma but many are their who choose science or commerce as their study field. CHECK all the steps in this article. Before going to the online admission process in FYJC, we will first look what FYJC is so that students who are not aware of it will get informed about it. FYJC stands for First Year Junior College, that is 11th standard normally. FYJC is mainly known in Maharashtra. If you will say that you are in FYJC that means you are currently in 11th standard. There are number of options to choose after we complete our 10th standard but many students follow the path of continuing 11th and 12th standard and then going for degree. Let us now look at the FYJC Online Admission Process 2018-2019. There are various streams available when you go for taking admission in FYJC but there is a condition of selecting only one stream which is obvious. Apart from various courses, number of colleges are there in list which reserve seats for students who score good and rank in merit list. Quotas are available after reserved seats are filled. For admission there will be number of institutes and from that you can apply only in 10 colleges so think twice or thrice before you take any decision. Ask your parents, friends gather as many opinions as possible and then apply. If you want to change your stream later, you can do that during the admission rounds. Your seat will be allotted to another student if you change your stream. You cannot switch back then. The admissions for 2018-2019 will start in the month of June once the results of 10th standard is announced. The admission rounds will be conducted between 15th June to 15th July(expected dates). 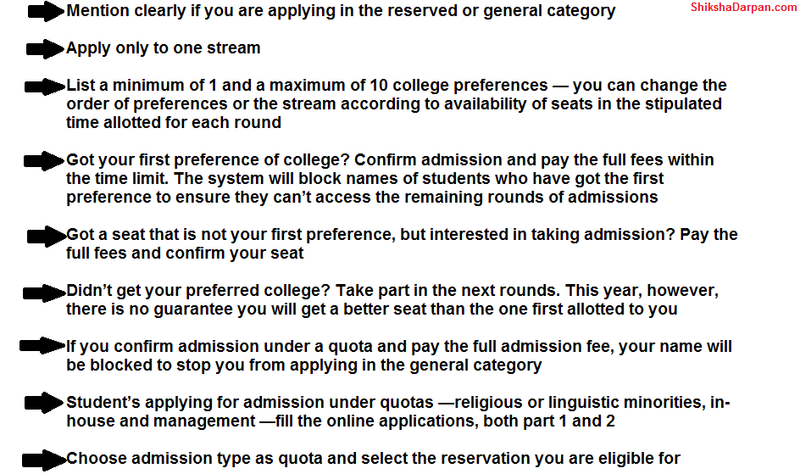 In first round, students need to select the college located in their region but they can change it in second round if they want to. But admissions will be given based on how many seats are vacant, if all the seats are allotted then student have to opt for another college. As soon as the result of 10th standard will be announced, the admission for FYJC in Mumbai and Pune will start at its full speed. If a student is reserving seat through Online Admission Process, then following are the steps they need to follow for the purpose. A student is not required to roam into various colleges, instead they are required to fill up an online application form. Students will be given a list of various streams and colleges from which they can select stream in which they want to go and apply in 10 different colleges at a time. Eligibility criteria for FYJC :- student must have cleared 10th standard from a recognized board. Admission will be given on the basis of merit list, so keep in mind that you score good in 10th exams. Documents Required in FYJC Online Admission Process. 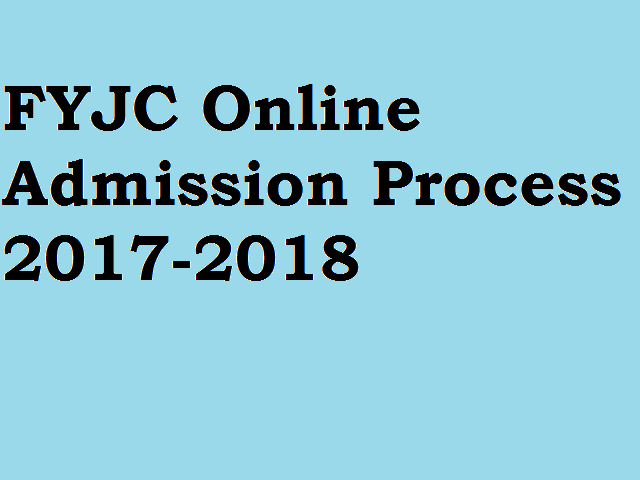 Above are the process for FYJC Online Admission 2018-2019. I hope it will help you. Stay connected with us for more such updates. What is the FYJC Mumbai Admission Process? Planning to take admission in First Year Junior College? Results of 10th and 12th are out and now students are looking forward to take admission in their interested fields by filling up different entrance examination form or admission form in different institutes. As we are talking about admission process, the admission procedure for FYJC Online Admission 2018 Mumbai, is going to start soon. The date is yet to be finalized. We are going to look at different methods through which candidates can fill up the form. I am going to mention below the steps you need to follow for applying. Candidates can fill up the admission form as per their requirement of method. Who can Fill-Up the form? Any candidate who have passed 10th standard or going to appear in the examination from any board which is recognized, this year can apply for this course. Once the process starts, candidates need to strictly follow the guidelines. Talking about the eligibility criteria, there is no such criteria till now for taking admission in FYJC. Read all the guidelines and then start filling up the form. You will be given login access, which you can find in the booklet itself. Log into the site using the login id and password which was there in your booklet. Print out all the pages having necessary information. Follow the guidelines and fill up the application form. Select your choice of college by clicking on “Option Form”. We wish all the candidates good luck. May you all get what you want? According to news , online registration will begin from 31st may on web portals. Official website link of both fyjc Pune and fyjc Mumbai is given above. Form has Part 1 and Part 2. Fill and submit both parts of this form. Part 1 is the main registration form, in which you have to fill your personal details, contact information etc. Part 2 is your college option form. After declaring 10th results you can fill this form. Check all the rules given in booklet.